Bella’s head tilt is on point ✌️ as she runs around the playground without a fear in the world and is ready to conquer it with you. 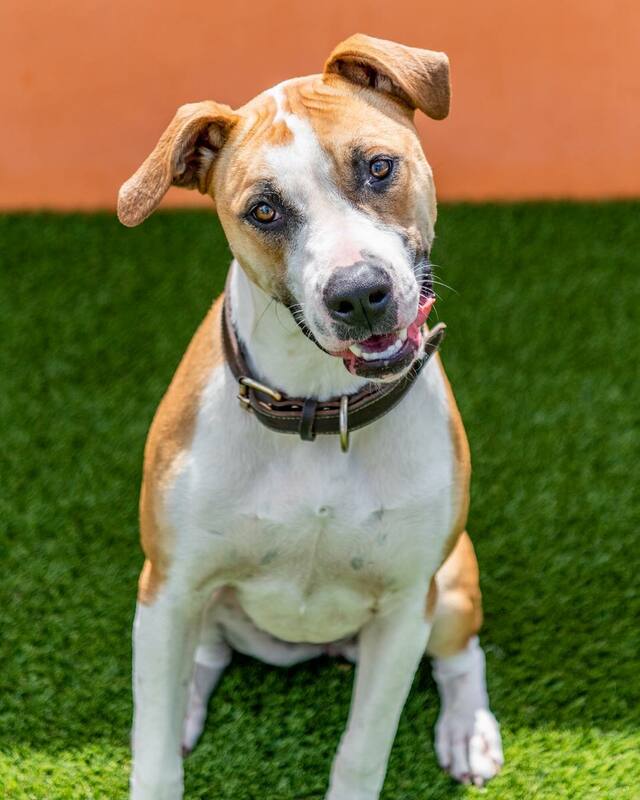 Bella #A2022917 is a spayed female tan and white American Bulldog mix, approximately 11 months old and weighs 69 pounds. Bella was probably purchased from a backyard breeder as a puppy, her family held her tight and caressed her, but now that she’s a whopping 69 pounds they’ve decided they no longer want her. So now Bella sits in an overcrowded shelter hoping she will see them again. Has no idea they didn’t want her… would you be her hero today? @sit.snap.save .